Found in the Wandsworth Guardian. Entry filed under: In the press. 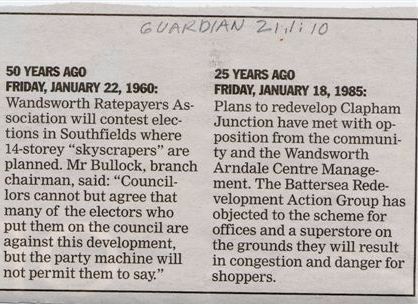 That’s no surprise then- see my quote re Wandsworth Delta earlier today. The only thing certain is that millions of pounds of tax payer’s and others’ money has been poured down the tubes in the interim, and many a nice pension fund built up.